Homeflores blogHow Do Restaurants Get a Michelin Star? 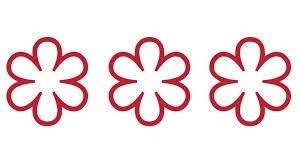 How Do Restaurants Get a Michelin Star? Any foodie knows what a Michelin Star is and the odds are, one of these restaurants may be in your list of must try! But how much do you know, really? As you’ve heard in the grapevine, Michelin is back in California and they will make the rounds (albeit anonymously) to recognize the best of the best. It will be the first time Michelin and its team of anonymous inspectors evaluates restaurants across an entire state in the U.S. rather than a specific city, a nod to California’s prowess as a premier food destination, guide officials said. With all the buzz around Michelin in California and prospect of San Diego Restaurants getting the recognition it deserves, we thought, how do restaurants get the most coveted star? We found this interesting article that tells the origin and evolution of Michelin Star!